There are few sweet potato specialists in Asakusa and Funawa 舟和 is probably the most famous shop and oldest imo yokan shop in Tokyo (since 1902). Most tourists might have tried the imo yokan soft serve ice cream at its outlet along Nakamise Dori towards the temple direction but do you know that it operates a Wagashi area as well? Kikumaru is another Wagashi house that is located in Asakusa but off the crowded touristy zone. Hence, it is not surprising to learn that there is no mention of this place on any guide book or tour blog. Like 森の園 Morinoen, it also serves matcha and houjicha parfait. But i decided to kill two birds with one stone by having the Special parfait (¥1100). $2 for a burger? Yes, it is quite unbelievable that one can still find quality gourmet burgers at such an affordable price (other than McDonald's). This petite slider that punches above the rest comes from Stirling, one of the restaurants along the stretch of food outlets opposite Beauty World Centre in Upp. Bukit Timah Road. May 2014 had been a busy month...of eating green stuff. Like most shops elsewhere that are coming up with green items (May is the month of "shin ryoku" aka New Green), Dean & Deluca has also come up with Green Bakery theme where all the baked items contained some green ingredients. It has been a long time since I truly felt touched by honestly good food. The moment I bite into the Kale and Mushroom, the cacophony of flavours simply exploded in my mouth without warning. Sweet, spicy, tangy......how can this humble looking sandwich taste so fabulous? I could not suppress my excitement and wanted to find out what magic has gone into this sandwich. I thought it is good to chronicle my final visit to Gontran Cherrier Tokyo before I flew back because I've discovered some delicious stuff there again. If you happen to spot a white color mousse cake studded with dried fruits called "Cassata Siciliana" at any local patisserie, don't think much, just get it. It is such a traditional and peripheral cake that few pastry chefs in Singapore would ever think of making one. The rarity drove me to get a slice at Dolcetto by Basilico, despite being already full to the brims. Tip Top is not a new name to many Singaporeans, especially those who lived in Ang Mo Kio area. Famous for its "tip top" curry puff, it has now launched an all-new Nyonya Beef Rendang ($1.40) curry puff, created from a home recipe by simmering beef with spices for long hours. From its classic Carrot cake to Middle Eastern inspired Sesame Tahini Cake, Cedele's organic cakes have always impressed with their light, delicate, exceptionally moist cake layers and this is no exception for Christmas log cakes. Blessed with a touch of zen, the Green Tea Yule Log ($8.50++) is such a wonderful and joyous thing to eat because of its unrivalled intense flavours and superbly fluffy green tea sponge. One bite simply tells it all-- a genuine matcha cake that in on par or even better than some in Japan. What is Christmas without a requisite fruit cake? Mariette have come up with the convenient dessert solution for your Christmas party this year. One of the four seasonal edition flavours, the Mixed Fruits and Nuts tea cake is choked full of ingredients to keep the mouth busy. There isn't much of the traditional booze here, but this makes it a great appeal for kids. The seasonal brew is not overpowered by spices but has a well-rounded smooth taste with lingering aroma of nutmeg and cinnamon. This is one of the festive items launched at Joe and Dough, a 6-year old homegrown cafe establishment which takes pride in serving quality coffee and fresh wholesome food. Run by a passionate husband-and-wife-team, Damien Koh and Dawn Wee, this local brand remains unfazed against Starbucks' muscles and continues to expand with latest outlets at Kallang and Novena. Where it comes to Christmas feasts, one can barely count the number of buffets with ten fingers. But when it comes to a multi-course Christmas dinner, especially a traditional British one, I think the Royal Mail Bar is the only one in Singapore. From now to 2nd January 2015, one can pick and match an exquisite 2-course at $35 or 3-course set lunch at $38! ROCQ Star : NEW Healthy Choco-Pops On The Go! I rarely touch coffee but when it comes to chocolate-coated coffee beans, my hands cannot stop. Get ready for a sugar-fueled festive season with the array of sweet treats at O'Coffee Club. Before the wave of artisan coffee culture invaded our shores, it might be the place to go for coffee lovers but it was my sweet sanctuary for some indulgent mud pies. This season, the usual chocolate Mudpie undergoes a festive makeover to assume a refreshingly light character with strawberry sorbet, honey parfait ice cream and almond nibs, mint flavored Italian meringue called Jolly Mud Pie ($12.20++). A giant 15 feet Christmas Tree greeted me when I stepped into the lobby. Making a detour around it, I spotted a familiar figure--Mr Santa--resting happily in the goodie house and surrounded by his old friends, Mr and Mrs Gingerbread Men. The cheery festive spirits at Grand Waterfront Copthorne Waterfront were highly infectious and they definitely pumped up my appetite to indulge in the Yuletide treats at Cafe Brio's. Here are FIVE REASONS why this is a great location to wine, dine and be merry! 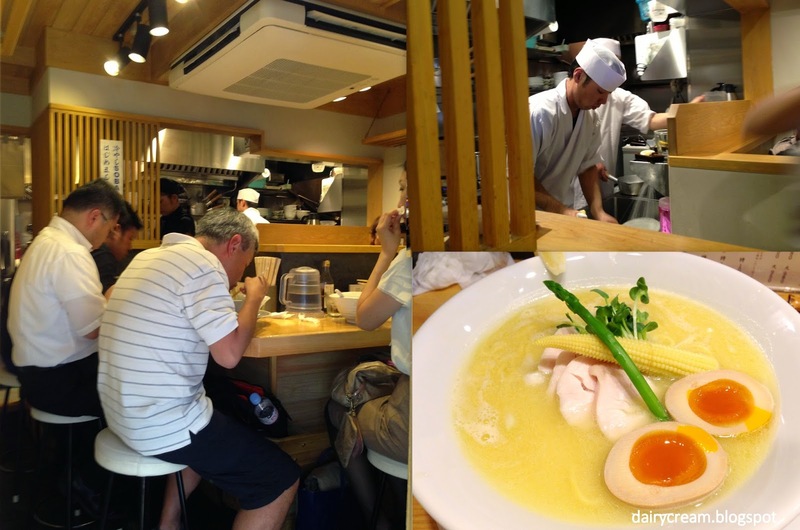 While Tonkotsu ramen seems to be reigning overseas, chicken-broth ramen is running hot in Tokyo. 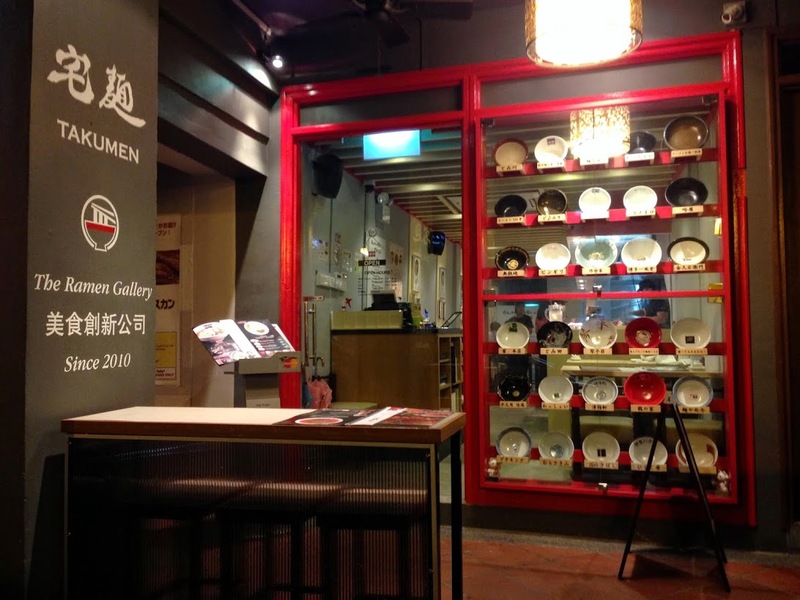 Opened only March 2013, Kagari has attracted crowds for its tori-paitan chuka soba. Instead of roasted turkeys or hams, why not have some finger-licking good crabs at The Square? Located at the 7th floor of Novotel hotel, this international buffet restaurant is known for its delicious crabs and diverse Asian cuisine. Besides the usual Black Pepper or Singapore Chilli crabs, the Indonesia Chilli crabs are worth a try as the sauce is piquant and tangy. I have not yet tried the authentic version but I love this more than our local chilly crabs as they held a more robust spice identity. The musical song reverberated in this Geek cafe but it does not come from any hi-tech audio system but a gramophone. No manga, no anime, but technology gadgets....and cheesecakes. Alarmingly, the combination seems to work, because the cheesecakes are simply so delicious that you don't have to wait for the laptop to spoil and bring them here for repair in order to have the cheesecake. Just enter and have one. 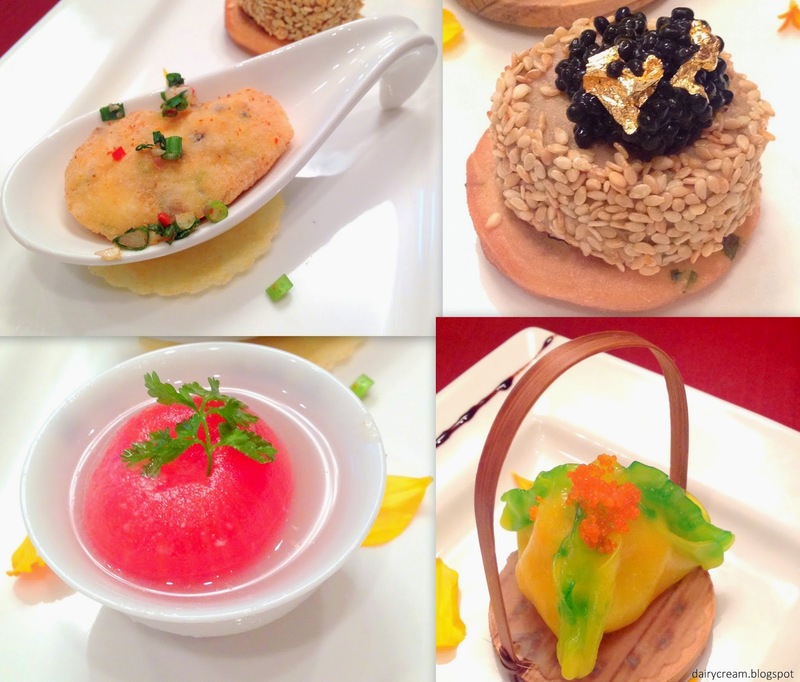 Instead of a traditional French afternoon tea, why not check out the oriental Chinese afternoon tea at Tian Fu Tea Room? From now till 31 January 2015, Si Chuan Dou Hua has partnered with Long Ming Xuan, the first bird's nest sommelier in Singapore that retail premium bird's nest tailored to customers' preferences, to come up with a luxurious Sparking Imperial High Tea. I have read slightly about Curry Times but never did I know that it is run by the our famous curry puff brand, Old Chang Kee. I have always enjoyed the Old Chang Kee's curry puffs more so than Mackenzie's or Rolina's, not because of the pastry skin but it's spicy curry filling with a fiery kick. Start the season countdown at Crowne Plaza Changi Airport with its hearty festive takeaways and delicious Christmas feasts at Azur Restaurant. The highlight of the yuletide dinner is none other than the Festive Baked Turkey with Angelica Root ($ 165 +), a unique creation by Chef Andrew who likes to infuse an oriental touch to Western cuisine and vice versa. Tucked in the corner of Jalan Besar is a newly opened stall with a signboard that says "Thai No. 1 Wanton Noodles and Pig Trotters". Helmed by a Thai chef, this place has barely opened for less than a month but some pictures on its facebook page look promising. My pick is none other than the signature Thai Tom Yum Baa Mee ($5) which was astoundingly tasty and addictive. In collaboration with the movie Horrible Bosses 2, Miam Miam, the French Japanese fine casual cafe kitchen, has come up with the "Miam Miam My Best Boss Meal" set meal at $22.90 (up to $28.90++) featuring its Signature Miam Miam Spaghetti alongside a drink (MM premium coffee/Earl Grey Tea) and French Salad till end of November. There is more reason to try this other than the attractive pricing because it was fuss-free yet so tasty that it kept our spirits flagging. Each portion of raw pasta is measured to 110g and cooked exactly for 7.5minutes to achieve that perfect al dente bite. I never hold any good impression of rainbow cakes but I must confessed Medz's version is so far the best rainbow cake I have. And what could be a more colorful cake than the thing itself when it is dressed up with chocolate ganache to look like a Christmas log cake. 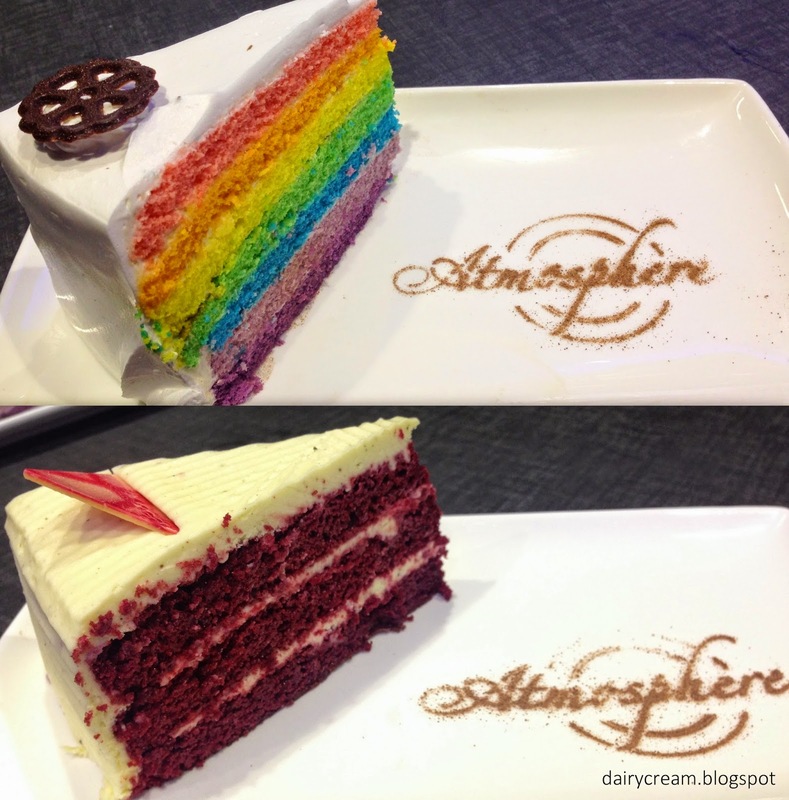 Shaped in a rectangular form, the 1.2kg festive rainbow cake ($46.90++)distinguishes itself from the mediocre ones with the superbly moist sponge layers constituted of fine-textured particles, a far cry from those dry stale versions with big pockets. Located amidst the high-end commercial district of Roppongi Hills, Creme de la Creme stands out with the unique pure white-wash exterior. 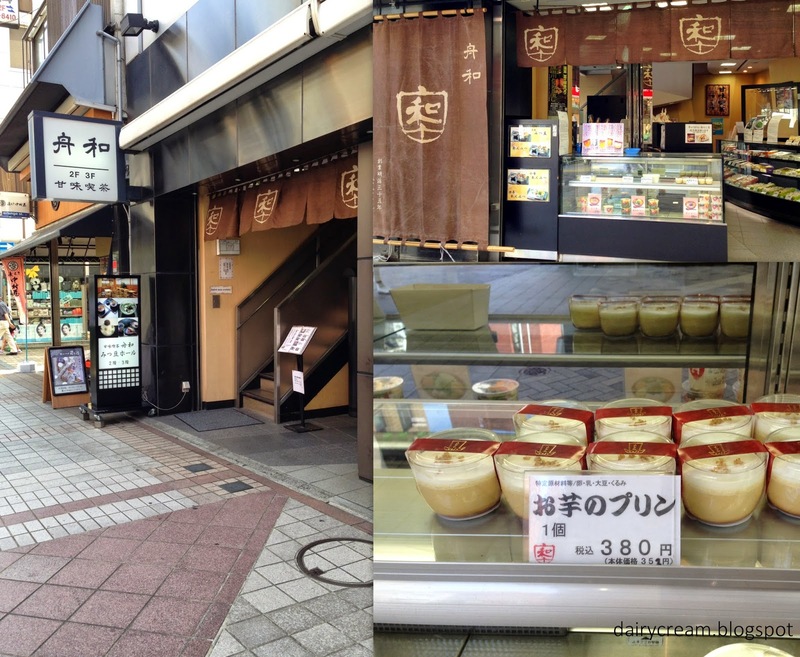 This takeaway-only cream puff specialty shop originates from Kyoto and this only outlet in Tokyo opened in April 2013. 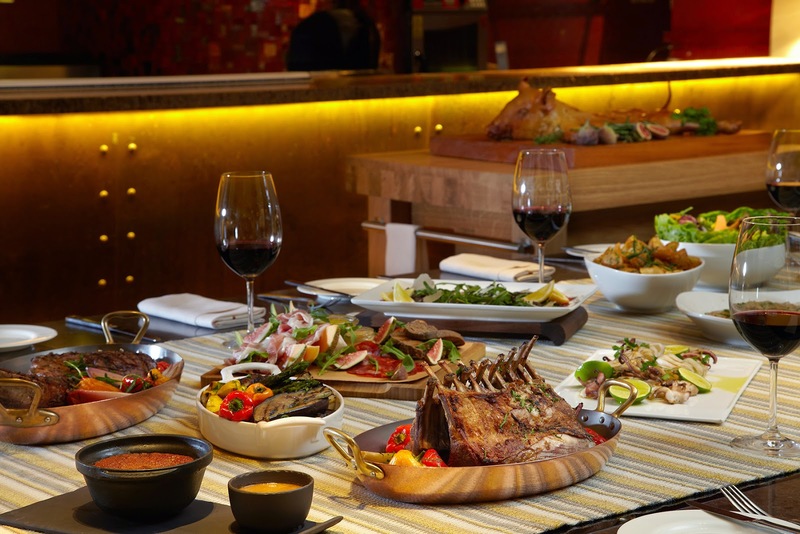 Get ready to pack on the pounds with the newly launched Mezze Dinner buffet at One-Ninety in Orchard. This latest instalment features a main course and buffet spread of appetizers and desserts at an unbelievable price of only $58++!! Buffet sounds highly inviting but the showpiece is the main course that comprises a selection of wood-fired steaks and seafood, grilled over apple wood at more than 200 degrees Celsius in temperature. Some of the mains require additional charges but they are very worth the extra bucks. Take for example the Rack of Lamb from Australia that truly exemplifies the skills of Chef Owen who is a master at handling tricky cuts. The marinade is nothing fancy, but the meat is superbly succulent and tender, as if I was slicing a raw eggplant. When it comes to taiyaki, I only looked out for one thing-the pastry skin. I don't expect it to be as thin and crispy like a wafer. I'm contented as long as it's not soggy and stale. The filling is always very sweet, so no point debating about the sweetness. Perhaps due to having too many mediocre taiyaki in the past, I was simply amazed and delighted when I found Narutoshi Taiyaki. This shop stresses on the concept of "Tennen Taiyaki" (natural taiyaki), which means that the taiyaki is made using the method of 一丁焼き (icchouyaki) . Each taiyaki is made on individual 2-kg fish-shape heavy iron cast and slowly grilled by rotating the casts several times. Yes...2kg!! Looks simple from the outside but who would have thought it would be such a laborious affair? If you think that Sichuan noodles is all about spicy minced meat paste on top of dry dan-dan noodles, then you got to try the authentic version at Chinese kitchen of halal-certified buffet restaurant Straits Kitchen. Chef Patrick Pan from Xi-an, China celebrates the culinary heritage of his roots by introducing two types of Sichuan noodles that would definitely transform the stereotypical image of Sichuan cuisine. Taking a subtle approach to the dan dan mian, Chef Pan whips out a soupy version that is blended with peanut paste which gives it a very pleasant aroma. Dip the spoon into the sea of the reddish broth without the wavy noodles and one will haul up a mound of dried peppercorn, sesame seeds, spring onions--all the necessary ingredients that makes this bowl particularly rich and flavour duck. Contrary to its fiery outlooks, the noodles only carries a faint fugitive heat, stimulating my craving for some chilli padi. This is not your Man vs Food show. It's the Morgansfield's Christmas Platter ($149.90++) that contains more than enough meat to probably last an individual till the next Christmas. But the good thing is that you don't have to beat the clock to finish this; neither do you have to embark on a solo meat conquest as this can be shared theoretically with 4-5 pax, or realistically speaking, even 6 or more. Sushi, ramen, Tonkatsu, soba....how many people actually eat Oyakodon when they visit Tokyo? Well, I hope more people can try the Oyakodon here since it's SUPER good. Just right next to Maxwell Hawker Centre is Foodology Fresh, a gourmet deli place that adds to the list of healthy eating places in this increasingly health-conscious urban landscape. Push open the door, get a tray, and start assembling your lunch from the extensive menu of soups, salads, sandwiches and even desserts. How does a sugar-free Sun dried Tomato and Mozzarella muffin sounds? If you happen to be in the Shinjuku Area, do make a detour to BAKE by Kinotoya. This super popular Sapporo cheese tart brand has finally opened its first shop in Tokyo! 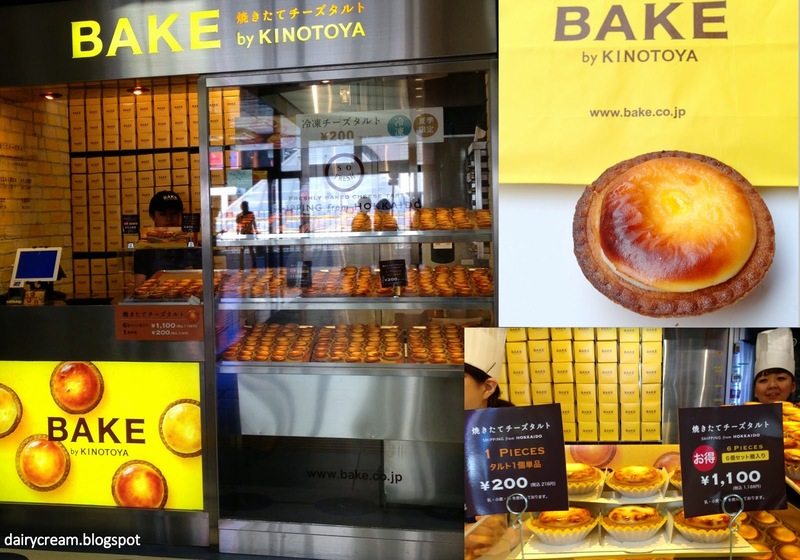 I always wanted to try its cheese tarts at the Hokkaido fairs in Tokyo but they are always sold in box of 6. Now they can be bought individually at 200yen each or SGD2.15.....$2.15???? so cheap!! 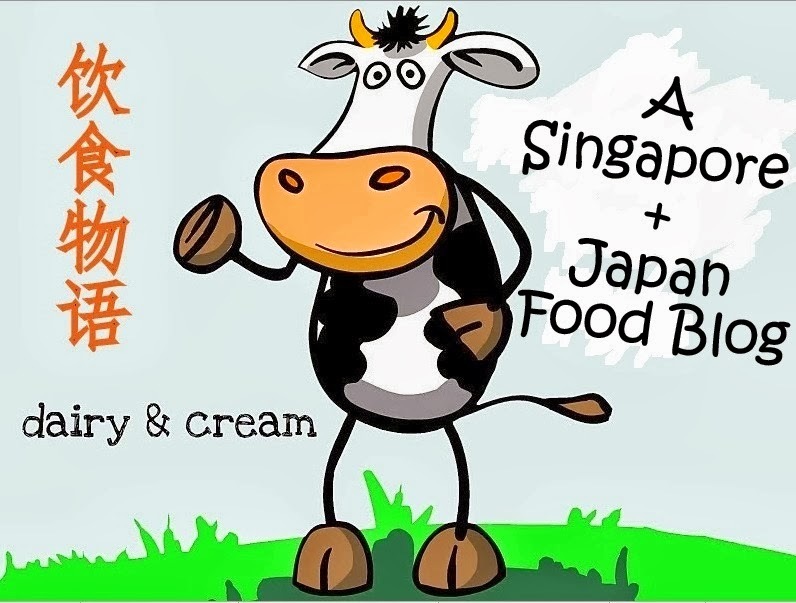 Do you know that there is a new F&B space called Parkland Green in East Coast Park? Besides familiar shops like Starbucks or St Marc Cafe, Atmosphere Bistro, a new Western bistro by the same team behind Shin Sapporo Ramen has also recently opened its doors serving comfort food like burgers, pizzas, fries and even brunches on weekends. Perhaps just less than a month into their opening, the food may need more time to be fine-tuned but there are few potentially promising dishes out there. Pizza is a balancing act of getting the crust and filling right. On the Squid Ink Pizza $20.80, the thin crust was not exactly crunchy but one need not steer clear away from it totally as the combination of squid ink base and mozarella cheese was quite delicious. If you like some additional entertainment besides the football screenings on the giant LED screen, there is the Flaming Pizza which may ignite your senses. Meanwhile, the Caesar Salad would foil the plan of eating clean and healthy as the dressing was gloppy with an unpleasant acetic taste. The beautifully browned Baby Back Ribs ($19.80) fell short of expectations as the grilling seemed to have gone a little awry, resulting in slightly charred bits and excess liquid evaporation from the meat. Otherwise, these could have really been fall-of-the-bone tender and flavourful ribs with bursts of citrusy tangs. Meanwhile, the dryness and seasoning might diminish the amount of sway of this humongous Atmosphere Burger ($19.80). But at the same time, the collective power of three patties (turkey, chicken, pork) still has weight, literally and most likely to be the talk of the table. Worthy of mention was the sesame charcoal bun that was very fluffy and fragrant, enhanced by subtle truffle scents emerging from the moistened inner surface. Besides, as similar to the baby ribs platter, there are tasty side nibbles like fries and coleslaw to nurse the feelings. If you accidentally browse into the desserts section while placing your e-order on the iPad, don't be too excited to pick the "rainbow" cake, which is more likely to satisfy the visual voyeurism. Instead, you might want to consider the red velvet cake here ($6.80) whose deep-crimson layers were moist and not overly sweet, or the crowd-pleasing molten chocolate lava cake ($11.80). According to the concept of "Two Atmosphere, one space", the place is designed to attract families during the day and a more adult crowd at night. 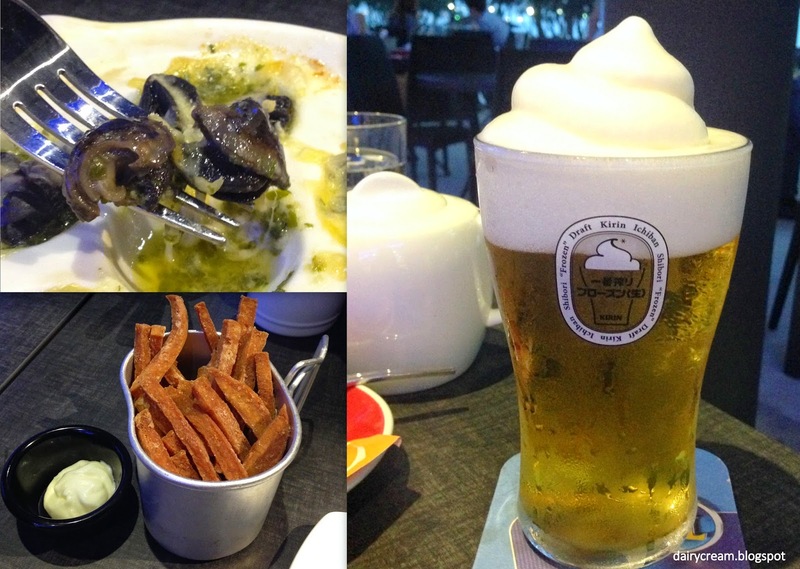 Those who are not driving after drinking might be interested to hop on the beer-slushie trend for the Calpis Frozen Beer, alongside savoury bites like the Spam Fries ($7.80) and Escargots ($10.80). Or go for the Heinekein or Erdinger white draft beers at promotional price of $30 for 3 pints. At this bistro, it is all about the "atmosphere".